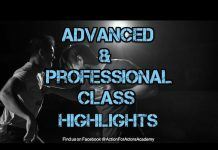 Martial artist, actor, stuntman and film director Mark Grove offers his considerable experience in Hollywood movie making to help you get a career in action entertainment. Everyone has a history… We all started somewhere and we all have ideas of where we would ultimately like to be. For many martial artists, one of their goals is to enter the film business. 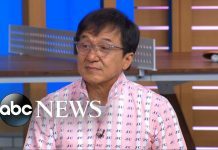 Being a martial artist of over forty years and having worked in the film business since the late ‘80s, I know firsthand the ups and downs of that process. The most common reason someone refers to something as a dream is because they don’t know the best way to achieve it. There is not set of instructions that can ensure the fulfillment of the desire. In the martial arts we have step-by-step requirements that take us from one level to the next – we know exactly what we need to do to achieve each progressive rank. We must apply the same dynamic to working in the film industry. It must shift from a dream to a training regimen that will lead you to your desired goal. Many martial arts instructors have been asked by new students, “How long until I get my black belt?” They are so worried about the end result that they don’t realize that it’s the progression through the ranks that makes them ‘worthy’ of the belt. It is the same in the film business. There is a great deal of preparation that needs to happen before we are ready to jump into the fight. And, make no mistake about it, the film business is an opponent far stronger and more ruthless than any you have ever faced in the dojo. However, if you are determined to become an action actor and/or stunt performer, you must come to the realization that you must be ready to fail if you want to succeed. If you can accept and embrace that single concept – you may have what it takes. This column will make an honest attempt to offer true insight into how to best prepare yourself to compete in this highly-competitive field. 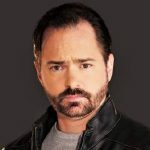 In order to do this properly, I will be sharing my personal experiences as an actor, stuntman, producer and director, as well as interviewing many of my friends who have found success in this business. These friends will include actors, stunt professionals, directors and producers who can give you first-hand knowledge of how they got started, the trials they faced and the wisdom they gained during their on-set experiences… The one thing I promise is that I will never candy coat things. If I am going to offer truly valuable information, it has to be full contact, no gloves, no rules. Like any martial arts teacher, I am not here to teach you what you want to learn, I am here to teach you what you need to learn. As much as I want to start with the secrets of how to turn your martial arts prowess into stacks of money by performing amazing feats of dexterity and skill on the big screen…I can’t. You may be a black belt in your art, but you’re a white belt in this arena. Let’s start with some basics. WHAT IS SUCCESS IN THE FILM BUSINESS? This is a question with a million answers. Each person will have their own perspective of what success is. For some it is about the limelight. For some it’s about the money. For some it’s about the adventure. For others it’s all of the above. Whatever motivates our actions, almost all of us have a vision of what we believe success to be. It is important that you are clear about what you want. WHAT IS FAILURE IN THE FILM BUSINESS? Failure is much easier to explain than success. Failure is allowing this harsh industry to sway your spirit. Failure is not being properly prepared when opportunity knocks. More importantly – failure is not trying. If it’s one thing that I’ve done well over the years, it’s fail. But I’d rather try and fail than not try at all… To succeed you must be willing to take risks. What is the purpose of this brief look at the duality of success and failure? It’s all about self-effacement. Before we can succeed, we must have a plan. This is where the real work begins. It means you have to stop fantasizing and start looking at the cold hard facts. To begin with, never think you deserve success in the film business because of your hard work in the martial arts. Martial arts and film are two different fields entirely. It would be the same as getting a medical degree and then saying that, because of your hard work, you want to be recognized as a lawyer. Instead, you should use the work ethic you have developed in the martial arts to study all the components in the film industry to earn your success. Like all arts… start at the beginning. 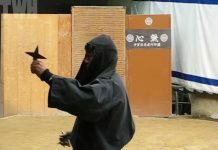 Most martial arts teach basic skills prior to advanced techniques. This is the best way to ensure students have a firm understanding of the fundamentals so they have a strong foundation in which to build upward. Apply those same principles here. Do some people have natural acting skill? Absolutely. There are many people who have an innate charisma and stage presence that will translate well to film. If you believe you are one of these people, that’s fine – but that doesn’t mean you should not constantly grow as a performer. Actors like Cynthia Rothrock, Don Wilson, Chuck Norris, Joe Lewis, Bill Wallace, Benny Urquidez, Jean Claude Van Damme, Steven Seagal, Jeff Speakman and the like had strong enough personalities to merit leading roles in feature films. All of these people were talented practitioners before entering the biz – and I’m almost certain each one has a story about how challenging it was to bridge the gap between martial artist and actor. If one universal truth can be told, it’s that these martial arts superstars helped shape the genre in America. No longer did we have to wait for films to come out of Japan and Hong Kong – they were being made right here in our own back yard. But, as the decades passed, the age of the martial arts movie became a fond memory. It’s very rare to see films like The Octagon, Perfect Weapon, China O’Brien, Force Five, or Bloodsport, in today’s market. Not entirely sure why this happened, but we can’t deny that fewer martial arts related movies get theatrical distribution and even their DVD release lacks a great deal of marketing. In essence, if it’s solely a martial arts flick, then it’s likely to have a limited release under the mainstream radar. So, if this is the case and one wants to be an actor, martial arts skills alone will even further limit your marketability. The tactic – make acting the priority so you can play any role, not just roles that make utilize of your physical skills. If you’re looking to be a stunt performer – don’t be a tough guy (or girl). You can have pride in your physical skills, but don’t boast of ‘stunt’ skills you don’t really have experience in. If you’re a martial artist, you have been trained to fight for real. This does not mean you understand the intricacies of theatrical combat or other stunt related skills such as high falls, body burns, precision driving, firearms and all of the other such abilities associated with the stunt industry. Many independent filmmakers who call me often say, “I have a black belt doing the fight co-ordination.” When I ask if this person has actual film experience, the answer is usually, no. This is a huge mistake for both parties. For the filmmaker, it means that they will not get the most out of the fight because the choreographer won’t understand the subtle techniques of adapting certain movements to work better for the camera. If the choreographer is green, the fighters will also most likely be green – a disaster waiting to happen. The negative for the black belt is that they are allowing their ego to get in the way. Start by working under a seasoned choreographer and you will learn amazing things that will help you become a choreographer yourself – but, until those lessons are properly learned, you should be content in using your skills as a performer. You will find that people in the industry will respect humility over bravado. Also, you will have to seek out further training. Find a stunt coordinator, stunt group, or even other stunt performers who are willing to help you get started. Train with people who do it. If you are interacting with people who aren’t working themselves – that may be the first sign you are with the wrong people. Tons of people want to be stunt performers and waste no time in flying to LA to fulfill their dream. But, if you can find a reputable person (or people) who can teach you the specialized skills you need, then you will have a better chance of success because these people already have industry connections. Most (not all) of these are run stuntmen who have no source of income other than preying on up-and-coming performers. Stunt skills require rigorous, repetitious practise and cannot be learned in fundamental short term sessions. Imagine learning high falls with 100 other students. Are you really getting the time you need to perfect the skill? Of course not. In essence, what you get at a (probably very expensive) stunt school is the equivalent of a (stunt) carnival. Lots of noise, lots of hype, the opportunity to stand in long lines to ride the ride a couple times and the thrill of seeing photographs of yourself performing stunts you’ve done for the first time ever to be used as a marketing tool to show working stunt coordinators your feigned expertise. On-going training is the only answer. SCUBA certification, firearms handling courses, skydiving, gymnastics, high falls, wire work, horsemanship, exotic weapons and anything else that increases your skills consistently must become your lifestyle. Do you have a professional headshot? If you do, is it up to date? I can’t tell you how important it is to present the proper physical image to casting directors and/or stunt coordinators. I have seen so many headshots that were too glamorous, too plain, or, for those in the action industry… too tough. A good headshot should project a positive image of someone the casting director would be interested in working with. If you have specialised shots of you as a martial artist, that is great too, but not as a primary headshot. Make sure it has a great deal of action and/or attitude that reflects skill, personality and charisma. Starting out, you will run into the same problem that every actor or stunt performer faces – no credits. And, without credits, it’s hard to show people that you have the necessary experience to perform at a professional level. Well, I personally prefer honesty. Again, start with the basics. A good layout of your contact information or the contact information of the agency representing you is important. If they like you, it should be easy for them to get in touch with you or your agent. Include all your size information, hair color, eye color, height, etc… Pictures do not always accurately depict size, so this will help them determine if you are right for the part. Now the hard part…credits. If you haven’t done anything yet, you are going to have to skip right to your training, special skills, and activities. However, if you have been lucky enough to have a few credits, then this is where you list them. It’s simple – a one line list showing the project title, year, position and the name of the production company, director, or stunt coordinator you worked under. If you are among those who have involved themselves with every short film and no-budget film that comes up in your local community, you should be careful. Padding your resume with these productions in an attempt to impress the potential casting director rarely works. Although it’s good experience to work on these projects, do not misinterpret your level of success in the business based on them. Casting directors want to see that a director has liked you enough to pay you to work. If they see a bunch of no-name, no-money productions on your resume that cannot be confirmed, what will they think? They will probably think that you will do anything, anytime, anywhere. Not the kind of girl you bring home to mother! Beyond credits, it is not uncommon for the actor to list their training. It is really up to the individual to list what they deem relevant, but it is better to list formal training from major universities, well known industry coaches, or other recognizable sources. This is where you list your martial arts credentials and accomplishments. You will notice that this information is secondary to actual entertainment credits. Don’t be egotistical in what you list. Many actors also list out their special skills and activities. Although these can be informative, they can also become downright misleading. List only the skills that you are truly proficient in. Do not say you are a snowboarder if you have only done it once. In the end, the answer is honesty. The more ‘real’ your resume is, the better. This does not mean that you can’t embellish it a bit, but you want it to be as true to you as it can possibly be. Demo reels are another thing entirely. Do casting directors watch them? Sometimes I wonder, but we have to assume they do. If you’re going to present them with a demo reel, it better be amazing. Don’t waste their time showing them a sub-standard depiction of your work if it is not at a professional level. Trust me, they can tell if what they see is from an actual film, or if it was shot in your neighbours garage. It’s not just about your acting, it’s about your image as a whole. Your demo must have excellent cinematography, great lighting, immaculate sound and, of course, you. Now, the hardest part of all – finding work. The first thing to do is look for every film resource in your local town. Is there a film commission? Any government run resources that list what films are happening in your area? In almost all cases there is someone keeping tabs on what’s happening. Meet and interact with these people. Next, you should look at internet and print resources. There are many websites that show the locations of productions, the dates they are shooting and contact information on how to submit your materials. High level productions have to be the goal. If you are not in the business to succeed, then get out of the way for someone who wants it. I don’t know any other way to put it… You have to be honest with yourself about this. If you are going to make it, you need to live it every day. The thoughts of performing need to dominate your existence. You must set goals that will lead you constantly forward. If you grow lax – even for a moment – the opportunity with your name on will come and go. 03. Does the cinematographer have a resume that has any professional credits? This is a must. If you are going to commit to a project in which you are paid little or no money, you must be sure that the image they shoot of you is so good that at least you’ll get invaluable footage for your reel. 04. Are they offering you back end points because they can’t pay you? This is common, yet I have never in my life heard of anyone actually getting paid. This is a producers way to feign respect for your talent by offering you ghost money. It’s not real. If you want to work on the project – fine, but don’t allow false promises of future riches be the deciding factor. 05. Do they say they already have distribution? This is a common ruse associated with low budget film makers. They are virtually promising that your performance will be seen by the world. You will be in every Blockbuster around the country within a year. You will be a breakout star. They are cashing in on your naivety, your drive, your dream… In most cases, no distributor will accept a film before it’s completed – especially from a film maker without a track record. If they mention distribution, you should ask who the distribution company is and research them. See if they are real, then ask to see the distribution contract. If they cannot show you, then it doesn’t exist. These are the hard questions you need to ask. If you are getting involved in a project where all of these questions cannot be positively addressed, chances are you are in for a very sad experience. However, if you can ask these questions and get satisfactory responses (without lying to yourself), then maybe the project has merit. Then, at least the decision to work on the project is based on intelligent fact-finding rather that unrealistic fantasizing.